Bay Young oversaw Dell EMC’s enterprise operations in the West and will now work to drive vCORE into new markets. 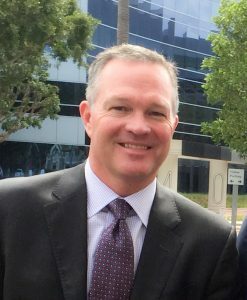 Scottsdale, Ariz. – Nov. 30, 2017 – vCORE Technology Partners on Thursday announced former Dell EMC executive Bay Young will join the company as president and chief operating officer beginning Jan. 1, signaling plans for accelerated expansion into new markets for the fast-growing solution provider. vCORE, which is headquartered in Scottsdale, Ariz. and operates locations across seven U.S. states and Canada, has experienced rapid growth – in revenue and technical capability – since its launch in 2010. With an engineering-centric approach and focus on critical technologies and services in the areas of hybrid cloud, security, software-defined IT infrastructure, workload automation and more, the company was honored among CRN’s Tech Elite in 2017 and Inc. Magazine’s fastest-growing large ($50M+) IT services company in 2016. While vCORE has continued to grow aggressively this year, Young’s arrival will propel the company onto an even larger stage, with an expectation to become one of North America’s premier IT solution providers. Young most-recently worked for Dell EMC as senior vice president over enterprise operations in the Western U.S., where he oversaw exponential growth in what has become a multibillion-dollar arm of the global technology giant. As area vice president of sales in the early 2000s, Young helped navigate EMC through the aftermath of the dot-com crash and propelled the company into an era of tremendous growth across the West, with revenue surging from $144 million in 2001 to more than $500 million by 2010. Young was later promoted to division vice president and then senior vice president, with annual revenue topping $1.5 billion before he left in 2016. In his new role at vCORE, which perennially ranks among the IT channel’s top-performing solution providers, Young sees an opportunity to work outside the constraints of a single manufacturer’s stack of solutions. vCORE’s unique, consultative engineering approach incorporates tailored solutions from dozens of technology manufacturers, including Dell EMC, Cisco, VMware, and many others. Young says he’d like to see vCORE grow by 50 percent in 2018 while building on the company’s strong existing reputation and solid technical expertise. Young’s arrival at vCORE does not indicate a retreat from the company for Founder Steve Leavitt, who plans to retain the CEO role and remain closely involved in operations as well as strategic direction. Young says he’s excited to join a company with a strong upward trajectory and robust portfolio.